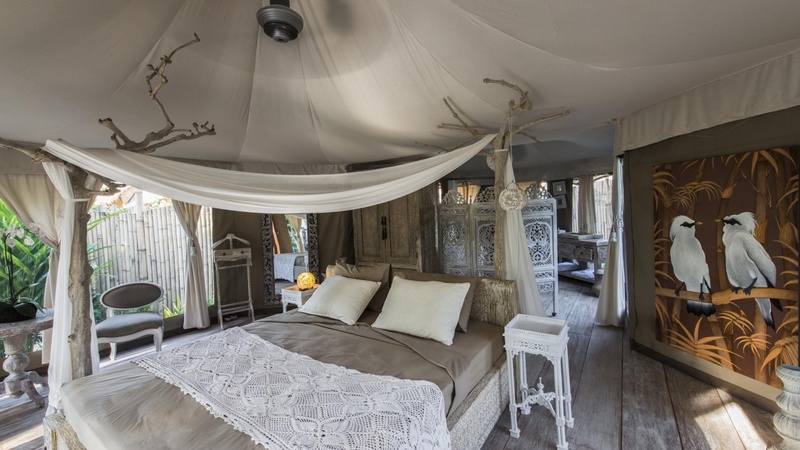 “Glamping” is an unfortunate portmanteau combining the words “glamorous” and “camping” the idea being that you get all the joys of camping with none of its rigors. 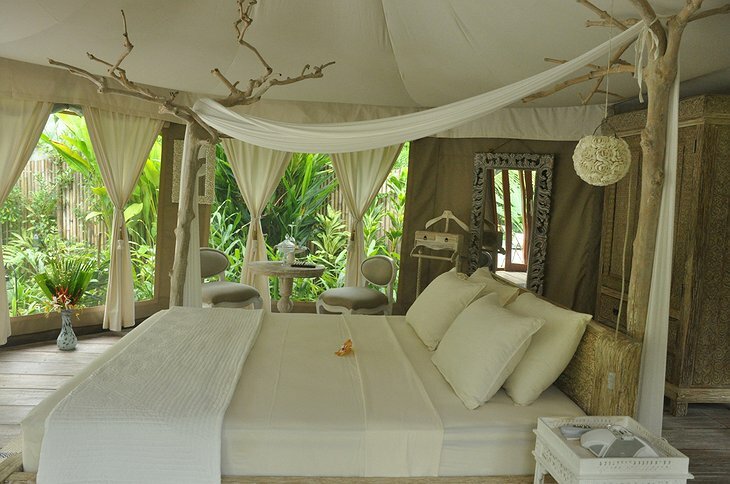 And boy, do you get just that and more at Sandat Glamping. 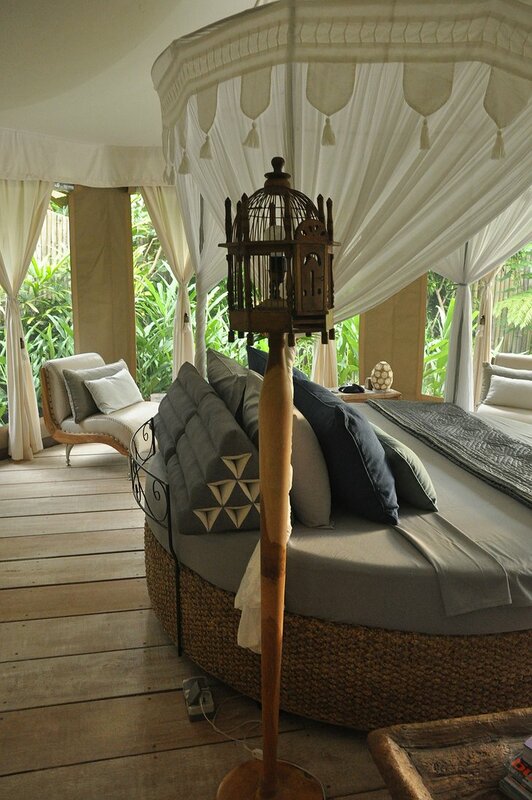 There are a range of accommodations. 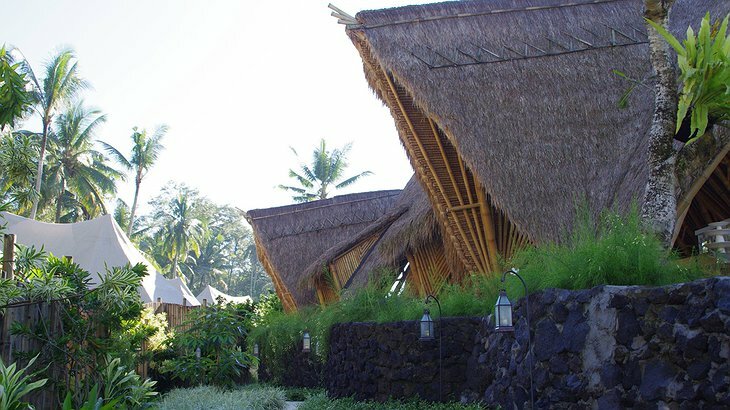 Stay in a lumbung – the traditional rice barns that, according to wikipedia, “are the pride of Sasak vernacular architecture”. 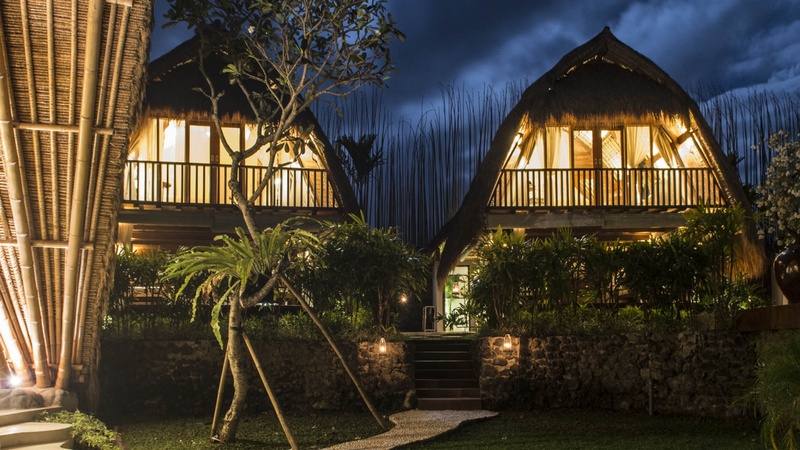 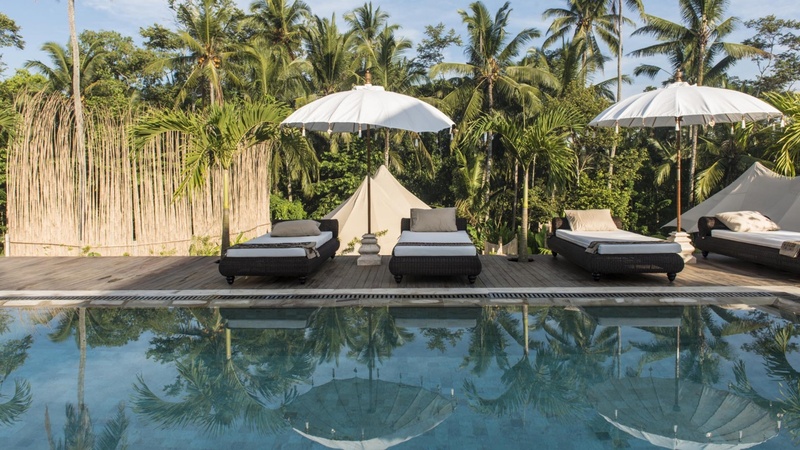 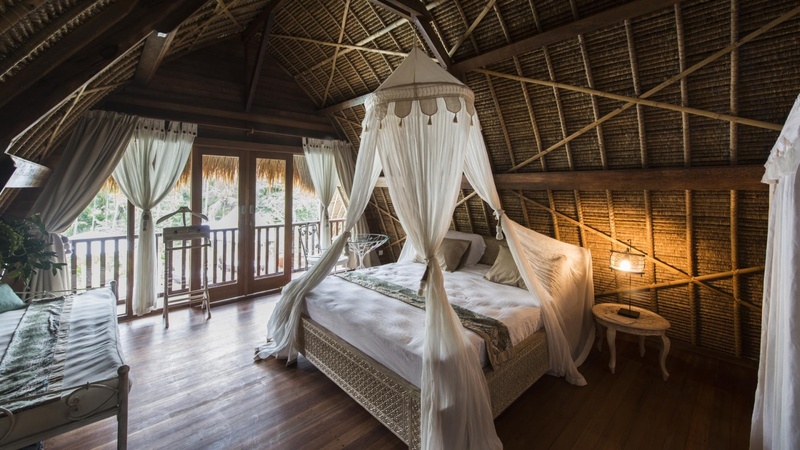 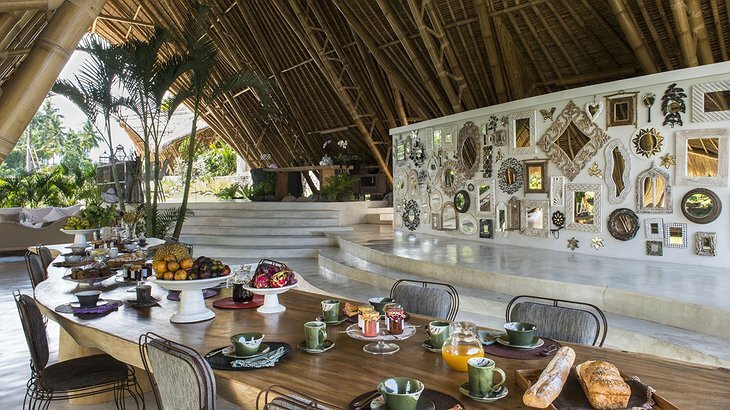 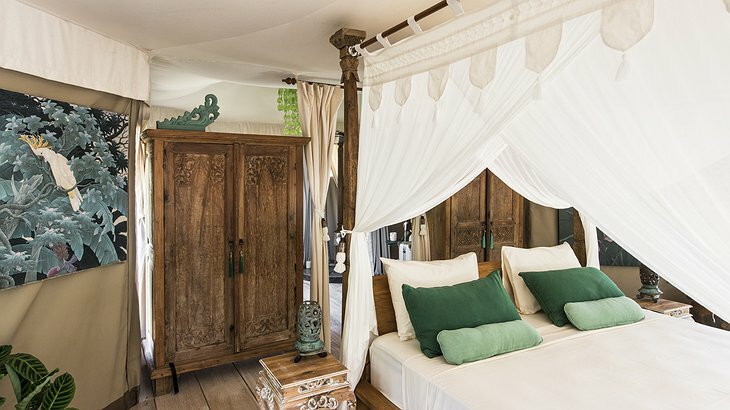 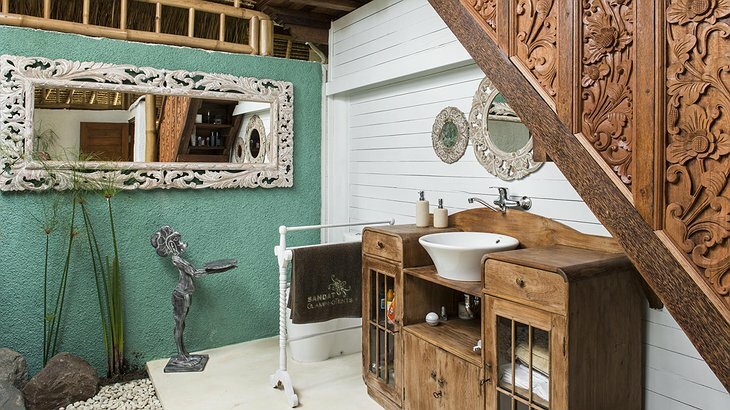 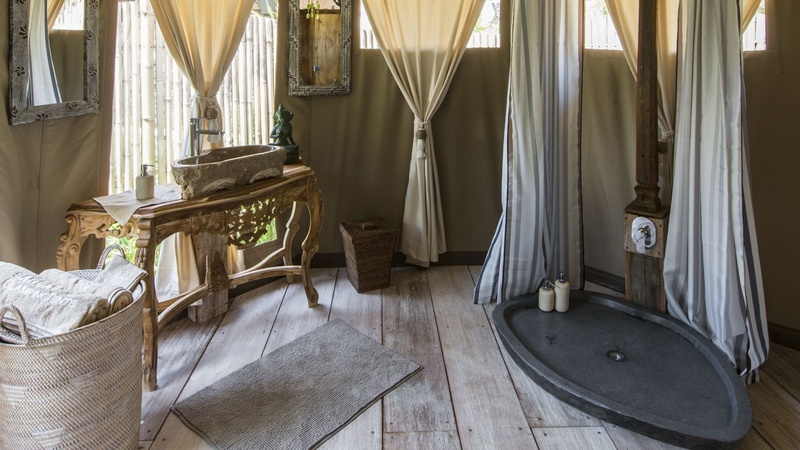 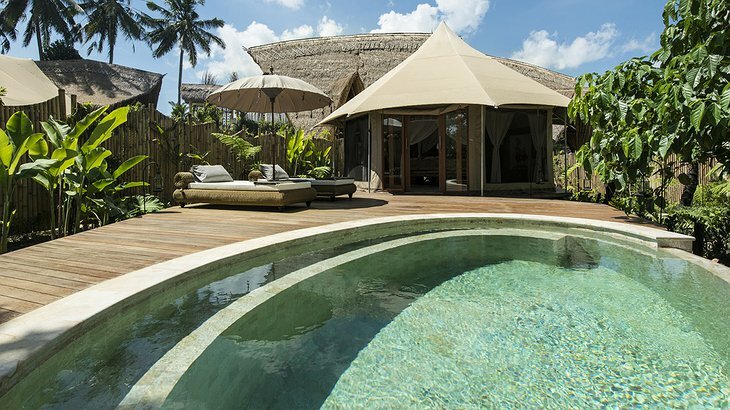 At Sandat the lumbung have each been luxuriously appointed with handcrafted furniture and canopy beds. 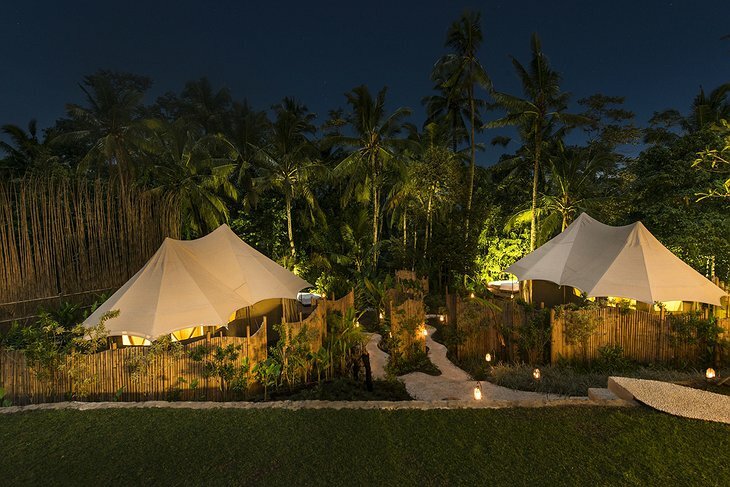 The elegant suite tents are reminiscent of colonial Safari Tents and have chandeliers, Venetian-style mirrors and crystals of the abajour. 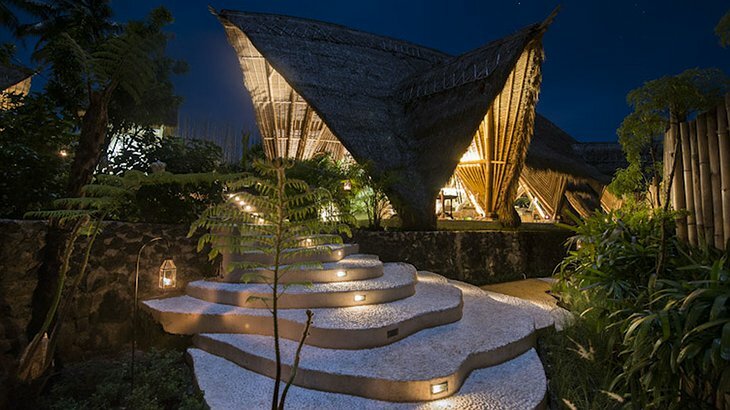 All the structures have zero environmental impact and are designed to harmonise with the natural environment, there are no TVs or phones to distract you from nature. 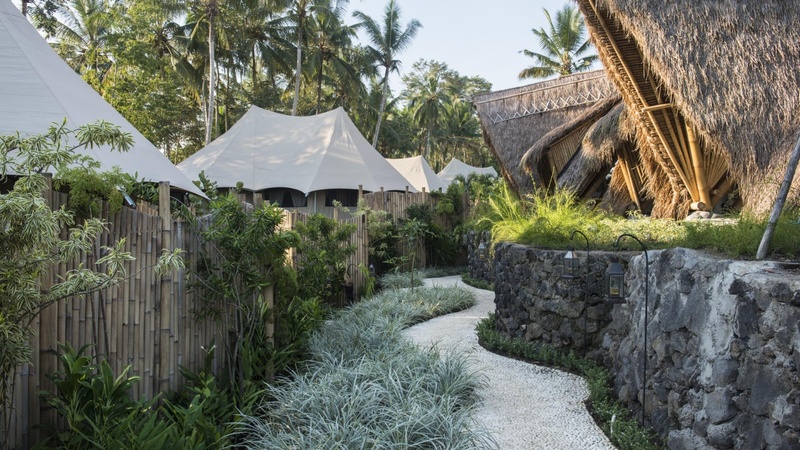 Instead, spend your time like Robinson Crusoe (albeit as less strenuous version) hiking, cycling and exploring the mountains. 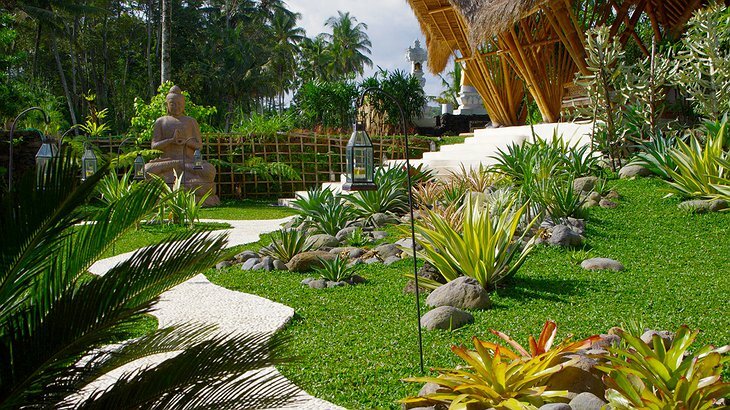 Learn about the local culture and try the amazing food. 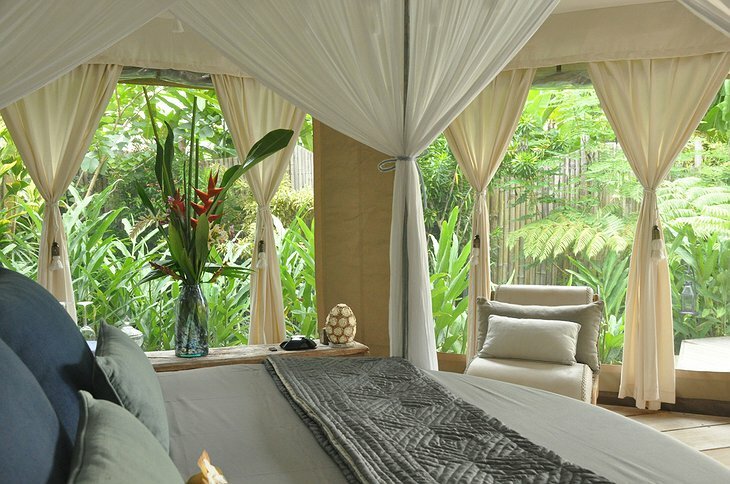 Whatever you do you will love to return to this peaceful haven at the end of the day.